With the introduction of the Gallardo, Lamborghini produced a stunning compact supercar. Relatively light weight with a high horsepower V10 engine means for a stunning quick car. Starting off as a 5.0 litre 493BHP expanding to a 5.2 with from 512BHP. 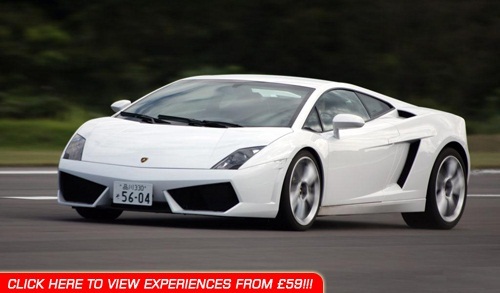 The Gallardo is a compact supercar which offers V10 thrills and handling. You will receive full tuition to help you drive these Lambos to the extreme around the track, where they belong.